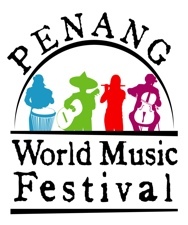 A Rewarding Journey Has A Name....: Official Tour Operator For Penang World Music Festival 2012!! Official Tour Operator For Penang World Music Festival 2012!! The organizing of the Penang World Music Festival 2012 has been given another boost with the inclusion of Discovery Overland Holidays as its Official Tour Operator. Discovery Overland Holidays (DOH), Malaysia's leading specialist tour operator, will be packaging the festival as part of its tour packages and programs to be marketed worldwide. With its network operations in 9 branch offices in Singapore, Bangkok, Phuket, Koh Samui, Kuching, Kota Kinabalu as well as Penang, Langkawi and Kuala Lumpur, Discovery Overland Holidays' festival packages will further boost the promotion of the festival overseas. As Official Tour Operator, Discovery Overland Holidays is also appointed as the festival ticket reseller in all its branch offices which will be ideal for international festival goers to book through the Operators website www.discoveryoverland.com and the festival website. The Penang World Music Festival is making a come-back after a three-year break and this time around it is coming back in a big way. Organized by Penang's State Tourism Development and Culture Office together with UCSI Communications Sdn Bhd as its Event Management Consultant, the upcoming Penang World Music Festival 2012 promises to be an exciting event to look out for. To be staged at the picturesque Quarry Recreational Park, Botanic Gardens, the festival will be held from March 30 to April 1, 2012. It will feature musicians from all corners of the world and together they will cook up a musical storm that will definitely rock the Pearl of the Orient. The bands, who are undergoing selection, are from Australia, India, China, Korea, Mongolia, Colombo, Madagascar, Africa as well as our very own Malaysian world musicians. The open-air festival which will be held at the well landscape garden amidst the green flora and foliage is expected to add colors to the already interesting Visit Penang 2012. With Discovery Overland Holiday's inclusion in the festival, an anticipated boost in tourist arrival is also expected. Tickets to the festival are also available online at www.ticketxpress.com.my www.ticketxpress.com.my and are priced at RM90.00 per day for adults and RM45.00 for children aged five to 12 years old. Three- day passes are also available and are priced at RM220 each for adults and RM120 for children. Hard Rock Hotel Penang is the Official Hotel for the festival and it is supported by Straits Quay, KDU College, Penang Campus, Penang Global Tourism and Virtual Malaysia. More sponsors are coming forward to lend support to the much anticipated festival. Various interesting programs have been lined-up for the festival goers to enjoy during the three days and these include music workshops in the afternoon, Kidz World music workshop in the evening and concerts at night. The day time music workshops will be held simultaneously at the festival venue and these workshops start from 2pm.